Pop up ads interrupts while working online. 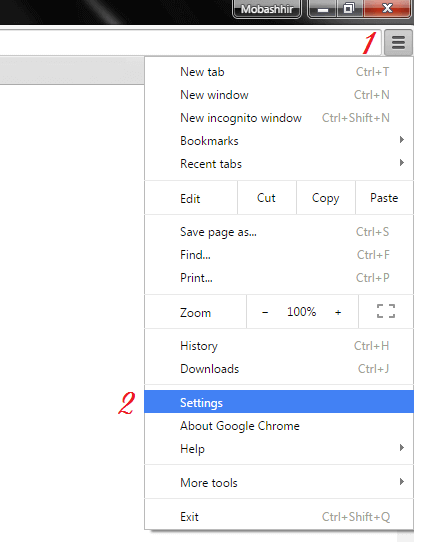 In this article I will show you, how you can remove pop up ads from Google Chrome. But if you want to block or remove pop up ads from any other browser then write in comment. We will surely give help you to get rid of pop up ads from other browsers. To remove the pop up ads follow the instructions below. For those who don’t know where is Settings button / tab. Just drag your mouse to the top right hand side of the page and click icon with 3 vertical lines. And you will find “Settings” in the menu. But if you already have selected this option and still pop-up ads are coming then click on “Manage Exceptions” under the same Pop-ups area. And delete all sites in the allowed list. For an instant if you are browsing any site which require pop up to work then you can manually allow the pop up in Manage Exceptions option. Once you finish just click on “Done” and close the settings window. So this was very simple way to block pop up ads. But sometimes clever ad injectors install ad extensions in Google Chrome Extensions. Or in your Windows Program Files. So if the above instructions doesn’t work for you then you have to take advanced steps. Now delete all unknown extensions from the list. If you are facing problem while deleting unknown extensions then write a comment with extension name. We will support you how you can get rid of pop up ads extension. Thanks for this amazing tutorial regarding blocking pop ads. Recently i checked my popads based companies start bypassing adblocker. So that is really a big issue popup still coming up even adblocker is enabled. So i searching any perfect solution to block these annoying ads. Anyways thanks again. Glad to know this helps you.